An elegant, anthropomorphic hand that utilizes commonly available materials and 3D Printing. There is no metal hardware and all cords are recessed for aesthetic purposes and for a better quality user experience. This hand is intended for adults and young adults - including female veterans, teens going to prom, or an individual going to a job interview. The anthropomorphic design and recessed cords allow the user the option of wearing a glove over the device. 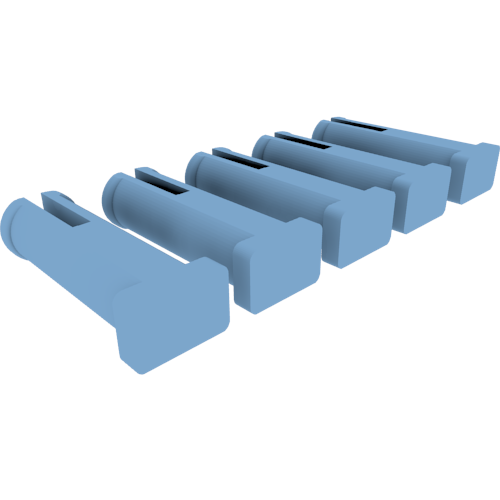 The files can be mirrored to turn the right hand into the left hand. 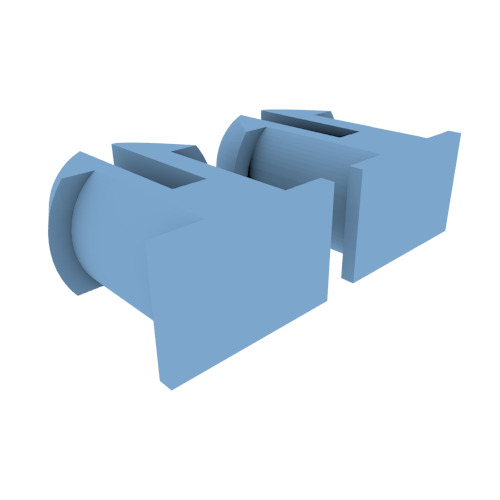 This can be done in slicing software using a 'mirror' command, or in Meshmixer software. To do this, import the file into Meshmixer, click edit>mirror. 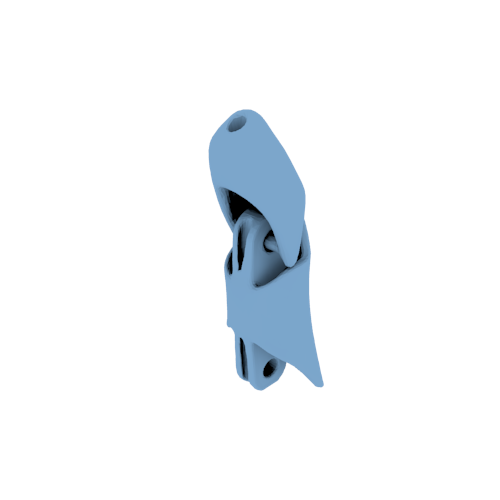 Adjust the plane so it doesn't intersect the object and click apply, then go file>export>STL. Repeat with each file and then load the files into your printer software. I know printing time varies from printer to printer, but approximately how long would this take to print the entire hand? I am using my local library's printer and therefore need to determine how much time I should allott. Hi md11001. The printing time will vary depending on the type of printer, and the settings in the slicing software. Printing all the parts in one build, using a regular extrusion printer at 2500 mm/minute would take about 12 hours of printing time. However you may want to divide the parts into separate builds, so that any failure would not effect all your parts. New to 3D printing - is this difficult to build? Hello; just signed up and new to 3D printing. How difficult is this to print and build? Technically much more difficult that Raptor 2, etc? Am an engineer and find this much more interesting that other designs. Since my twin-brother is also a USA military vet, interested to see if can learn to build these for USA Vets. Anyone of a webiste or list of needed/requested designs? Hi PetroDrlgEng, I recommend checking out the http://www.enablecommunityfoundation.org/ for more resources. You'll find specific information about the K-1 hand here. They also have a Google+ community you can join to find help. You can also upload the model as a build on our website, to share your experience. so that it fits the recipient properly. Thank you. The distance of the files can be measured in free software, such as Meshmixer (using analysis>measure). For the 'palm' component the interior distance between the two circles at the wrist is 5.5mm. You will need to take measurements from the recipient to determine what the scale should be. Divide the recipient measurement by the part measurement to determine the scaling factor. It may be advisable to print the palm part first to ensure a good fit. Then print the other pieces at the same scale and assemble the hand. K1 Hand - Forearm? Additional Holes? Hi - I'm looking for a bit of help. 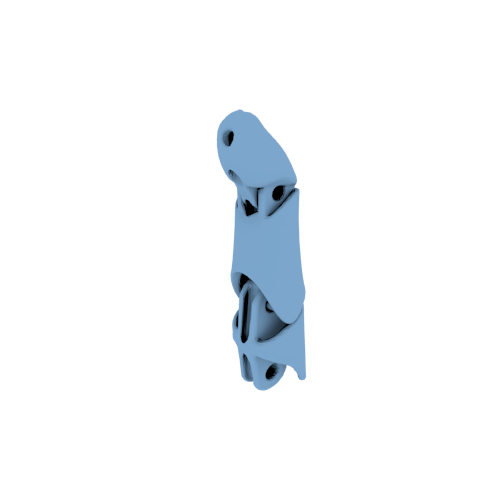 I've starting the printing process / build stages of this hand, however, from all the STL files included, I can't seem to find the model that includes the additional holes along the backside of the wrist on the forearm for finalizing the non-elastic knots (compare to assembly video). Also, the included model has less slots for the velcro. Is there an additional model or was that customized afterwards? I wasn't able to locate the version of the hand displayed in that video. 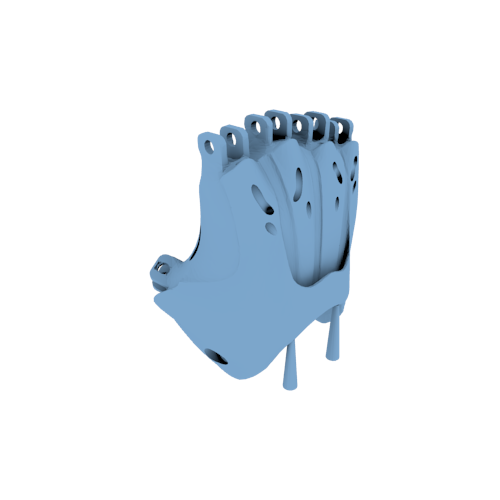 However I used blender to modify the forarm part of the K1 hand to include the holes on top and extra holes for velcro on the sides. It should work for you, but I haven't been able to test it so I won't know for certain. 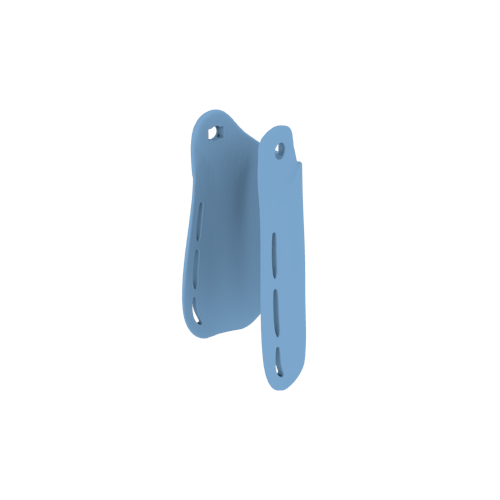 You can download it from https://3dprint.nih.gov/discover/3DPX-004452 . Please let me know if you have any other questions! Does the K1 Hand need to be printed with supports? Is there a recommended support material? Thanks! i will print in PLA, but i have a question. 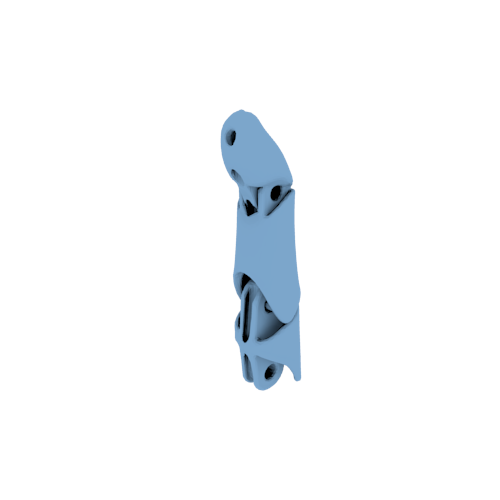 I have to print the fingers in one part , how do they make their move? I printed this but found that both the pinkie and the finger x3 models had errors. I opened the files and let my program do an automatic repair, but this fused the distal and intermediate phalanges. Does anyone have clean files for these two where this joint moves?